Aspiring distillers can learn about their craft through extensive reading, training at reputable schools, and — a time-honored tradition — working alongside experienced distillers. 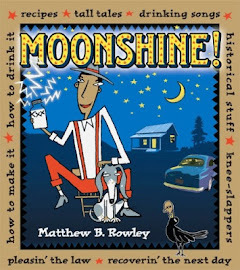 If the potential entanglements of learning how to make moonshine give you pause, and you can't swing a full-on apprenticeship for whatever reason, consider an internship at a legal distillery. Such internships are few and far between, but nothing beats hands-on experience for learning how a still works. Get out your best polishing cloth. 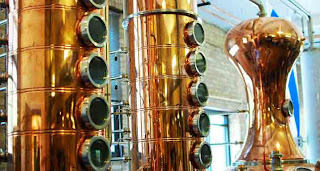 The production intern will assist with all aspects of the production of Koval Distillery's award-winning, small-batch organic spirits, including mashing, fermentation, distillation, barreling, bottling, corking, labeling, boxing, and shipping, as well as various other tasks around the distillery. 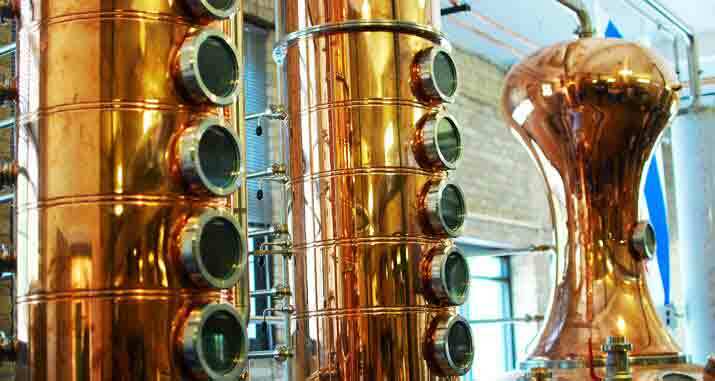 This is a great opportunity to explore the craft distilling business! Requirements: Must be 21 years or older and able to lift 50 pounds. Duration: Three months full-time, starting ASAP. Stipend: A stipend will be provided based on experience and qualifications. If you are interested, please send a resume and cover letter to jobs@koval-distillery.com. Please include the phrase "PRODUCTION INTERN" in the subject line of the e-mail. No phone calls, please. The IT intern will analyze sales support tools and make recommendations; assist with the design and implementation of sales support tools and analytics based on Pentaho / Jaspersoft / Birt / Spago; design and implement a project to integrate availability information from the web, account information from vTiger, and sales data from a system to be built (see previous tasks); and transfer a Filemaker database to MySQL and PHP. Requirements: Knowledge of MySQL and PHP a must. Must be 21 years or older. If you are interested, please send a resume and cover letter to jobs@koval-distillery.com. Please include the phrase "IT INTERN" in the subject line of the e-mail. No phone calls, please. As always, when I pass along information about jobs in the distilling field, I've got nothing to do with this. I can't hire you, fire you, or answer questions about hours, stipends, housing, or whether you could earn school credit for such an internship. For that, you've got to follow Koval's directions above. Why So Spunky, Punky Monkey?